Laparoscopic colon cancer surgery. 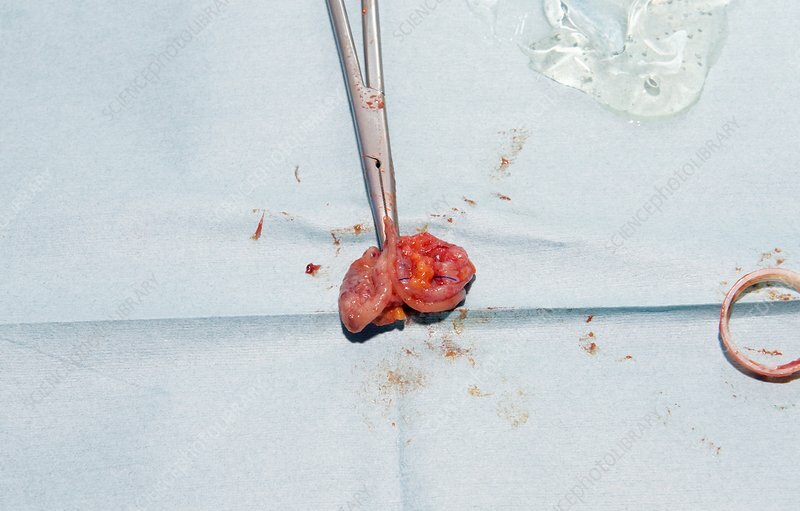 Part of a tumour removed from a patient's colon. Laparoscopy (key hole surgery) is a type of minimally invasive surgery that can be conducted through very small incisions unlike conventional surgical procedures.